If you have large outdoor walls that need styling, this is a trellis that would work beautifully. Made in three pieces, this trellis is just over two meters wide making it the perfect feature piece. Twisted spears link the scrolls to the central trellis. Use it to turn ordinary spaces into inviting retreats. This three piece trellis has been created as an extended feature for large walls. This is a new design. I am looking forward to seeing it on a feature wall soon. This large trellis has lotus flowers in the scrolls that sit either side of the central design. 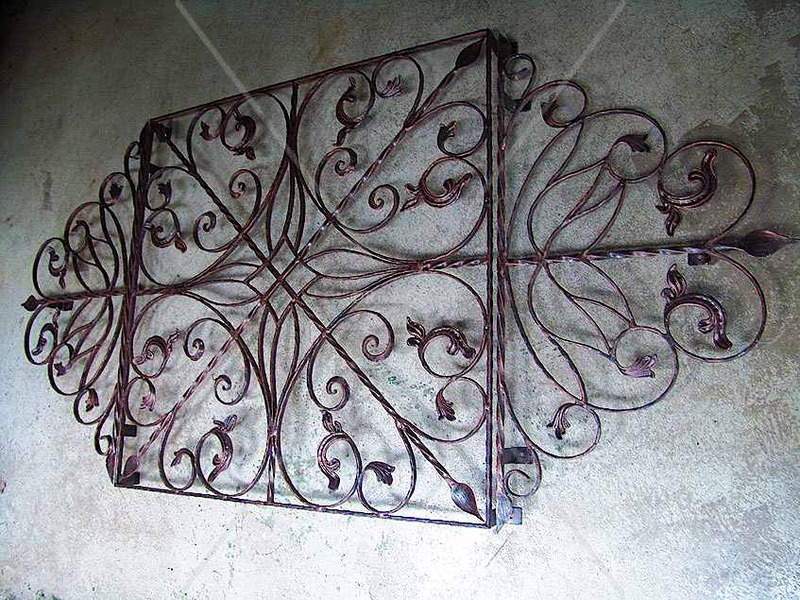 It combines leaves on scrolls with twisted iron and elegant shapes to create a stunning feature. 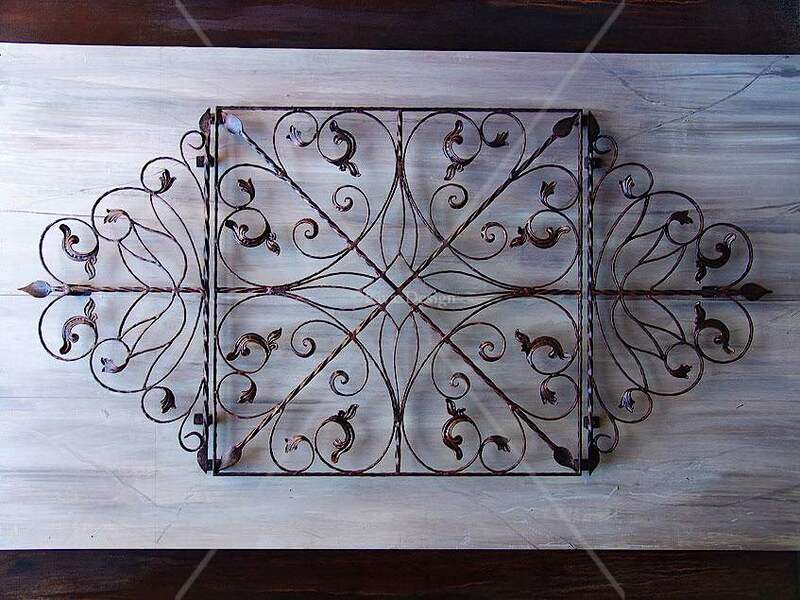 This solid wrought iron trellis sits off the wall casting gorgeous shadows behind it in sunlight spots. Hot dip galvanised for maximun rust proofing. Available finished in black brushed with copper. This trellis is one you would choose to create real style on a large outdoor wall. Supplied in three pieces allowing you to space the scrolls to suit your wall size.